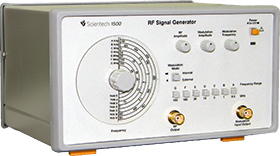 As Rigol`s RF first signal source, the DSG3000 series offers standard AM/FM/ØM analog modulation, as well as options for I/Q modulation and I/Q baseband output. The DSG3060 has a maximum frequency of 6 GHz. Featuring a high signal purity with phase noise measuring <-110dBc/Hz@20kHz (typical) and a wide output range of -130dBm to +13dBm, the DSG3000 RF signal generator has standard pulse modulation with an on/off ratio of up to 80dB, with optional pulse train generator available. The DSG3000 series also has an amplitude accuracy of <0.5dB (typical).